models may not be available. CUSTOMERS IN THE U.K. SHOULD READ THIS BEFORE USING THIS PRODUCT. AMP FUSE AT THE DISTRIBUTION BOARD. Brown wire is to be connected to the Earth pin of a 3 pin plug. playback resulting in a stable picture. 50/60 Hz) to the DC current used by your camera. move the adapter away from the TV or the aerial cable. 1. Connect the AC cable to the power adapter. the camera’s DC IN terminal. 3. Connect the power adapter to a mains outlet. 4. Remove the power adapter after use. 1. Set the Program selector to OFF before you charge the battery pack. to the camera’s DC IN terminal. 3. Attach the battery pack to the camera. battery in the direction of the arrow until it clicks into place. 4. Plug the adapter into a mains outlet. 6. Detach the battery pack after use. Use video cassettes marked with an f (or g for G15Hi/G20Hi). 1. Make sure that you have attached or connected a power source. • Never push down the top of the compartment. camcorder – do not open the tape protect cover or touch the tape itself. Hi8 cassette (you can use either Metal-P or Metal-E Hi8 cassettes). 8mm format, depending on the tape used. • Do not interfere with the compartment while it is opening or closing automatically. in a cool, clean, dry place. camcorder first to record pause, stop or still pause mode. appear wrong or may cause tape damage. • Attach a power source (p. 8). • Load a cassette (p. 11). • Adjust the viewfinder and fasten the grip belt (p. 50). • Remove the lens cap (p. 50). 1. Turn the program selector to the a position. simply point and shoot without making any manual adjustments. 2. Open the STANDBY cover. • REC appears in the viewfinder. Set the program selector to OFF. • For tips on how to make better videos, see page 21.
been on for ten minutes without a cassette loaded into the cassette compartment. button, turn off the power, or load a cassette. between optical zooming (up to 22×) and digital zooming (22× to 700×). becomes locked in the centre of the viewfinder. camera’s zoom range by more than 22×. digital zoom on/off (see p. 25). adjustment to the picture angle. use it sparingly, or in order to reframe between shots. wide-angle position. You can focus on a subject as close as 1 cm (3/8 in). • When you turn the digital zoom on, “700×” appears in the viewfinder. • Image resolution is lower when the magnification is greater than 22×. You can use the viewfinder screen for instant, on-the-spot playback. To play back your recordings on a TV, see p. 19–20. To use the wireless controller, see p. 28. 1. Attach a power source and turn the program selector to PLAY. 3. Press the e button to start playback. • To end playback, press the 3 button. into stop mode after about five minutes’ playback pause. normal speed, press and hold the ` button during normal rewind. across a scene you want to watch again later. • The tape counter is reset to 0:00:00. 2. When you have ended playback, press the TAPE RETURN button. • The tape rewinds and stops when the counter nears 0:00:00. • You can cancel tape return by pressing the 3 button. • When the tape reaches the end during normal playback it rewinds automatically. • The tape counter is reset when a cassette is loaded. • You cannot use the tape return if the tape counter is already near 0:00:00. • Connect the PC-A5 SCART adapter to the TV or VCR’s SCART terminal. yellow plug to the yellow video terminal 0. C-250 AV Cable white plug to connect the audio terminal. • Connect the camera by using the C-250 AV Cable to connect the AV terminal. to the yellow VIDEO terminal. unpleasant high-pitched squeal, called feedback, may be produced. your eye off the action. it with the wireless controller. by returning the eyepiece to its retracted position. than 6 mm (1/4 inch), or it will damage the camera. off at the neck, hips or knees (move a little bit above or below). side of the frame that the subject is facing or moving towards. change your viewpoint for each shot. facing the end of your panning angle. begin to turn slowly from the waist. separate menus, for recording (camera menu) and playback (play menu). While the camera is in record pause mode, press the MENU button. DA T E D I SP L AY . . . CON T .
With the program selector set to PLAY, press the MENU button. 1. Press the MENU button to open the menu at screen 1. 2. Use the SELECT dial to move the cursor up or down the screen. • Make selections in the same way as for screen 1. The Custom Keys let you choose the functions you want at your fingertips. simple to change the Custom Key settings when necessary. 1. Turn the program selector to camera mode (a, w, b, c, e or f). 2. Open the camera menu to screen 2 and select CUSTOM KEY SET. combination of functions of your choice. and then returns to the camera menu. Turn the program selector to camera mode (a, w, b, c, e or f). Open the camera menu and select CUSTOM KEY INFO. Turn the information on or off. removing the cassette before you begin. • The camera remembers the Custom Key settings until you make a new selection. image stabilizer on or off from the IMAGE STABIL option at the camera menu. • The i mark appears in the viewfinder when the image stabilizer is turned on. cannot compensate for large movements of the camera. strobe, or ghost digital effects. • When you open the menu, IMAGE STABIL shows “- - -”. blinks for 4 seconds in the viewfinder then disappears. • S |appears in the viewfinder. of each scene you record. The date and time are recorded continuously. continue to work even when the main power source is removed. 1. Open the camera menu to screen 2 and choose the DATE SET option. • The year display starts flashing. 3. Set the months, days, hours, and minutes in the same way. automatically returns to the camera menu. • The display can be set to any year between 2001 and 2050.
choose between auto–10s, off, and continuous display styles (each in turn). You can choose between three different date/time displays at the camera menu. You can choose from a selection of preset titles to add to your recording. • The current title flashes in the viewfinder in record pause mode. The title will not be added to your recordings at any time. The title is recorded continuously. between auto–10s, off, and continuous display styles (each in turn). • When you turn the camera off, the TITLE setting is reset to OFF. the title you wish to use is displayed. 4. Release the FADE button. • The scene gradually reappears in the viewfinder. 1. Press and hold the FADE button during recording. 3. Release the FADE button. • The sound fades together with the image. • Title, date and time displays do not fade. the new scene and the old one. 2. Press the c (rec review) button. then go on to shoot the next scene. FlexiZone AF (p. 38) and FlexiZone AE (p. 41). are now free to move the frame. slow or still playback on a VCR. • You can focus manually in any recording program (p. 39). is in the centre of the viewfinder will usually be in sharp focus. It also has 2 functions which give you more control over focusing. you want to use FlexiZone AF. 1. Turn the program selector to w.
• The FlexiZone Control frame appears in the viewfinder. 1. Frame the picture with the zoom control. • If you use the zoom after manual focusing, the picture may go out of focus. 2. Press the FOCUS button to switch to manual focus. • MF appears in the viewfinder. • The focus remains locked at the point set by the autofocus. turn it upward to bring the focus nearer. 4. To return to autofocus, press the FOCUS button again. • When you turn the camera off, manual focus is canceled. with different recording conditions (see p. 36–37). added control over your recordings. in detail. To compensate for this, use the BLC function. 1. Select the Auto a or FlexiZone w Recording program. 2. Press and hold the BLC button. • BLC appears in the display. • The BLC function will take effect as long as you hold the key down. 3. Release the key when it is no longer needed. • In addition, you can assign CUSTOM KEY 2 to operate the BLC (see p. 25). move the frame over the subject. 3. Press the centre of the FlexiZone controller in straight. • EXP.LOCK appears in the viewfinder. • The exposure is now adjusted to suit the centre of the screen again. again free to move the frame around the screen. subject may change suddenly, you can lock the exposure at the current level. 1. Turn the program selector to a Auto Recording program. 2. Press the centre of the FlexiZone controller in straight. • The camera locks the exposure at the current level. the camcorder into record pause mode first, then take a still picture. Open the camera menu and move the cursor to PHOTO MODE. Select the ON setting and close the menu. Set the camera to record or record pause mode. camera also records the sound, and the viewfinder shows the still picture. • After the photo recording is finished, the camera enters record pause mode. respond until recording is complete. viewfinder freezes as long as you hold the button down. • Hold the camera steady during recording. ghost effects can be used only during recording). The soundtrack is not affected. Makes the image in black & white. Makes a monochrome image with a sepia tint. image to an ordinary positive one. mirror in the middle of the screen. moving subject, giving a ghostly special effect. flashes and then disappears after 4 seconds. 1. Turn the program selector to camera or play mode. and D.E.ON/OFF (see p. 25). 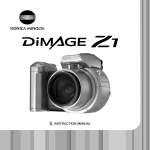 • The viewfinder display stops flashing and shines continuously. 5. Press CUSTOM KEY 2 to cancel the effect. • The display starts flashing again. You can now select a different effect. • Choosing EFFECT | deselects all digital effects. loaded, however you cannot turn it on until you play the tape . lit scenes. You can even record in complete darkness. 2. Slide the light switch to the x ON position to turn on the video light. • The light will only turn on in camera mode. • When inserting or ejecting a cassette the video light turns off automatically. • Continuous recording time is reduced with continued use of the video light. For longer recordings you may prefer to use a power adapter. materials, and do not touch it. • Do not knock the light, especially during use. • Do not use the wide-converter lens or the tele-converter lens with the video light. Not to be handled by children. Emits intense heat and light. Use with caution to reduce the risk of fire or injury. when using and until cool. • Turn light off when not in use. • See “Connections for Playback on a TV Screen” on p. 19–20. program selector to camera mode). * The BP-911K Battery Pack is supplied and the other BP-900 series Battery Packs are optional. continuous use of the video light. packs attached, maximum recording time will be almost doubled. record up to 13 hours and the G2000 up to 15.5 hours continuously. when the power is completely exhausted. circuit and damage the battery pack. battery pack is not being used. them with a dry cloth or tissue if necessary. temperature is no higher than 30°C (86°F). Close the battery cover into place. out from the left side. Make sure to attach the power adapter to the camera first. This way it will remember your chosen settings when you change the battery. damage the stomach and intestines. * When a replacement power adapter is required, replace your CA-550K with the CA-550. from the following: BP-915, BP-930 and BP-945. filter at the extreme wide angle position. light for indoor and even outdoor shooting. The SA-1 Adapter Bracket is required. accessories or products bearing this same mark. picture interference, or permanently damage the camera. • Cover the camera when you are recording in light rain or mist. • Do not use the viewfinder as a carrying handle. • Do not use a wet-type cleaning cassette as this can cause damage. the whole video camera dries. stops automatically and EJECT flashes in the viewfinder. Kingdom, Yemen, former Yugoslavia, Zambia. set for erasure prevention (p. 11). properly attached (p. 9, 52–53). more than about 5 minutes (p. 13).
? The video light won’t turn on. • The STANDBY cover is closed. isn’t set to VIDEO (p. 19–20). and will not affect recording. if you start recording with the camera.